You have landed that dream job as an academic; just what you have always wanted. What now? Becoming a new faculty member at a university or a researcher at a research lab is a challenge accepted with enthusiasm, energy, and trepidation. This first position is a signal of accomplishment and the culmination of years of dedicated effort, but it also marks the start of another round of hard work characterized by challenges that are new and often unfamiliar: how to establish an independent research program; learning how to be a mentor and be mentored; balancing career and personal life; collaborating with colleagues inside and outside your institution; and, for those heading into academic careers, learning how to teach. The New Faculty Symposium (NFS) focuses on helping new software engineering faculty members and researchers feel more comfortable and confident in dealing with these many challenges. NFS features advice and guidance from leading software engineering faculty and researchers based upon their personal experiences and insights into the contemporary community. Ample time for informal and small group interactions allows the attendees to dig deeper into pertinent questions and concerns. NFS is intended primarily for those who expect to hold a position soon or have recently started their careers. Abstract: This talk will address the difficult question of how to establish and sustain a research program as a (new) faculty member. The decisions you will make at early stages will have a crucial influence on the outcomes of your research, the way it will be received by what I like to call the research "market place" and, perhaps more importantly, the extent to which you will enjoy it. CV: Lionel C. Briand is professor and an ERC Advanced grant recipient in software verification and validation at the SnT centre for Security, Reliability, and Trust, University of Luxembourg. Lionel was elevated to the grade of IEEE Fellow (2010) for his work on the testing of object-oriented systems and was also granted the IEEE Computer Society Harlan Mills award (2012) for his work on model-based verification and testing. Abstract: Publications are often considered to be the currency of research. In this talk, I will shed light on the role of publications in software engineering research. In particular, I will discuss prospects and pitfalls of different publication strategies and share the experience I gained during my research career. CV: Prof. Dr. Sven Apel holds the Chair of Software Engineering at the University of Passau, Germany. The chair is funded by the esteemed Emmy-Noether and Heisenberg Programs of the German Research Foundation (DFG). Prof. Apel received his Ph.D. in Computer Science in 2007 from the University of Magdeburg, Germany. His research interests include software product lines, software analysis, optimization, and evolution, as well as empirical methods and the human factor in software engineering. He is the author or co-author of over a hundred peer-reviewed scientific publications. He serves regularly in program committees of top-ranked international conferences and he is a member of the editorial boards of IEEE Transactions on Software Engineering, IEEE Software, and Empirical Software Engineering. He was/will be program-committee co-chair of the 31st International Conference on Automated Software Engineering (ASE) and the 27th ACM Joint European Software Engineering Conference and Symposium on the Foundations of Software Engineering (ESEC/FSE). His work has received two Best Paper Awards, one ACM SIGSOFT Distinguished Paper Award, as well as awards by the Ernst-Denert Foundation, the Karin-Witte Foundation, and the State of Saxony-Anhalt. Sven Apel is a member of the Young Academy of Europe. Abstract: You and your research students are a team. When they do their best, they help you do your best. And when you do your best, you help them do their best. This interactive session will introduce 11 practical tips on how to get the most from - and give the most to - your research students. CV: Margaret Burnett is an ACM Fellow, a CHI Academy member, and Distinguished Professor of EECS at Oregon State University. Her research on enabling humans to use software tools for programming and problem-solving spans over two decades. She has presented keynotes and invited talks on her work in 9 countries. She has served on a variety of Software Engineering committees and editorial boards for IEEE and ACM, and is an Academic Alliance Advisory Board member of the U.S. National Center for Women and Information Technology (NCWIT). She is also an award-winning mentor. Abstract: Starting an academic career can be overwhelming. Setting up your lab, getting grants, teaching and mentoring, service expectations in the department and the research community. Oh, there are papers to write as well! In this talk, we will look at some strategies of achieving a sustainable balance between all these activities and pressures of you as an academic, and your other needs: to be a spouse, a parent, a caregiver, to maintain your friendships, your health and your hobbies. CV: Marsha Chechik is Professor in the Department of Computer Science at the University of Toronto. Prof. Chechik's research interests are in modeling and reasoning about software. She has authored over 150 papers in formal methods, software specification and verification, computer security and requirements engineering. Marsha Chechik has been Program Committee Co-Chair of a number of conferences in verification (TACAS'16, VSTTE'16, CONCUR'08) and software engineering (ASE'14, FASE'09, CASCON'08), and is Co-chair the technical program committee of the 2018 International Conference in Software Engineering (ICSE'18). She has been fortunate to work with many extremely talented graduate students and postdocs, some of whom are now on faculty in top universities in Canada, the US, Chile, Luxembourg, and China. She is also a proud mother of two amazing kids, aged 6 and 9. Abstract: Most new faculty members are unprepared for all of the different demands on their time. They face challenges in balancing those demands and risk losing focus what's most important in their lives and to their careers. This talk provides a department chair's perspective on the promotion process for Assistant Professors in research-intensive North American Computer Science departments. The talk will also present feedback from a number of junior faculty members on questions that they have about the process and from senior faculty members on priorities and bestpractices that they suggest to their junior colleagues. CV: Matthew B. Dwyer is the Lovell Professor and Chair of the Department of Computer Science and Engineering at the University of Nebraska-Lincoln. From 1985 through 1990 he worked in industry developing embedded systems and compilers and obtained his PhD in 1995 from UMass-Amherst. He has published more than 120 refereed papers in the areas of program analysis, software specification, and automated formal methods. He has supervised 9 Doctoral students, 4 of whom hold academic positions. He has chaired top research conferences (ICSE, FSE, OOPSLA) and served as editor-in-chief of a top journal (TSE) in the field of software engineering. He was named an ACM Distinguished Scientist in 2007 and an IEEE Fellow in 2013. Abstract: After 25 years in research, I am happy to have had some impact in Software Engineering Research - some of it on purpose, some of it accidentally. In this talk, I summarize six important lessons I have learned: Work on a real problem, assume as little as possible, keep things simple, have a sound model, keep on learning, and keep on moving. CV: Andreas Zeller is a full professor for Software Engineering at Saarland University in Saarbrücken, Germany, since 2001. His research concerns the analysis of large software systems and their development process. In 2010, Zeller was inducted as Fellow of the ACM for his contributions to automated debugging and mining software archives, for which he also was awarded 10-year impact awards from ACM SIGSOFT and ICSE. In 2011, he received an ERC Advanced Grant, Europe's highest and most prestigious individual research grant, for work on specification mining and test case generation. In 2013, Zeller co-founded Testfabrik AG, a start-up on automatic testing of Web applications, where he chairs the supervisory board. Abstract: Obtaining research grants is very important, especially if we want to continue our academic career. Government may have some state programs of science and technology development. Some of them are objective orientation and some others are just of free topics. Figuring out a competitive proposal is the key to the success. This talk will share with the audience some experience about the project applications. CV: Zhi Jin is a professor of Computer Science at Peking University. Her research is focusing on knowledge engineering and requirements engineering. She is principle investigator of over 10 national competitive grants including chief scientist of a national basic research project (973 project) and project leader of three key projects of NSFC. Zhi was Outstanding Youth Fund Winners of NSFC and the Distinguished Young Scholars of Chinese Academy of Sciences. She was awarded the Zhong Chuang Software Talent Award and the First Prize award of Science and Technology Outstanding Achievement of Ministry of Education, China. She is a CCF Fellow. Abstract: Federal funding agencies have a mission to invest in R&D that will support national needs and priorities. There are finite funds available for the most compelling research agendas. How can you compete while staying true to your passions and instincts? I will share experiences running programs at NSF while noting that countries and agencies vary. CV: Sol Greenspan is a program director at the US National Science Foundation (NSF), where his main responsibilities include programs on Software Engineering and Software Security. He has also initiated and led programs in the Science of Design and Formal Methods in the Field, among others. He is the co-chair of the federal interagency working group on software design and productivity, which sponsored and organized the Future of Software Engineering Research (FoSER) workshop. Sol was one of the founders of the RE Conference series, IFIP Working Group 2.9 - Requirements Engineering, the RE Journal, the ASE Journal, and the International Workshops on Software Specification and Design (IWSSD). He was a recipient of the ICSE Most Influential Paper award for his work in the intersection of Artificial Intelligence and Software Engineering. Sol has held research positions at Bell Labs, Schlumberger Labs, and GTE Labs, among others, and has taught at the University of Toronto, UCL, WPI. Abstract: I’ve had well more than 250 peer reviewed papers accepted. Can you imagine how many papers I’ve submitted to have that many accepted? And, how many paper reviews I’ve gotten! In this talk, I will share what I’ve learned over the past 20 years that can improve your chances of having a paper accepted. 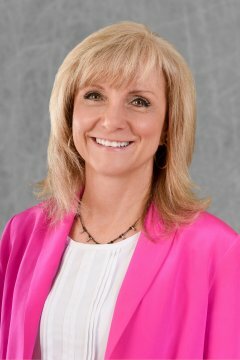 CV: Laurie Williams is the Interim Department Head of Computer Science and a Professor in the Computer Science Department of the College of Engineering at North Carolina State University (NCSU). Laurie is a co-director of the NCSU Science of Security Lablet sponsored by the National Security Agency. Laurie's research focuses on software security; agile software development practices and processes; software reliability, and software testing and analysis. In 2018, Laurie was named an IEEE Fellow for contributions to reliable and secure software engineering.